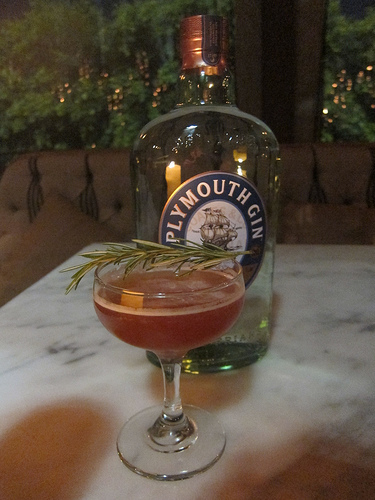 A couple of weeks ago, the regional competition of Plymouth Gin’s New Classic Cocktail contest was held at Eveleigh in West Hollywood. 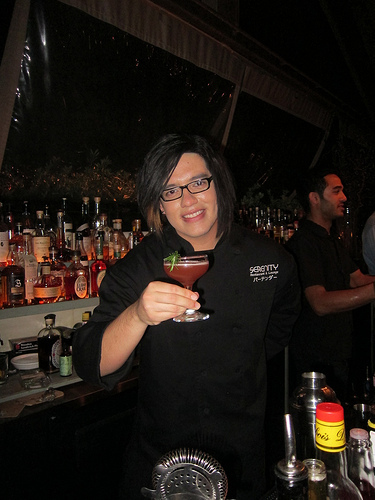 Hundreds of bartenders entered and six regional finalists competed in LA. Some came as far as away as Portland and San Diego. Ultimately LA’s Rachel from Plan Check and San Diego’s Oscar from Serenity took second and first place respectively. 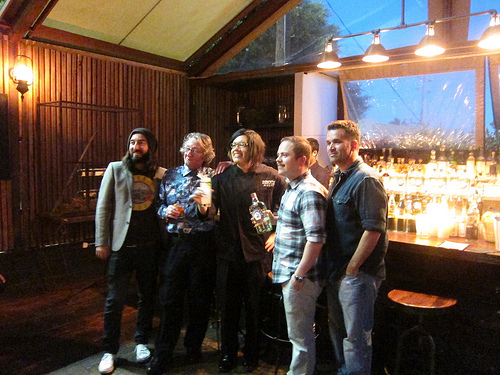 Judges Joseph Brooke (Mixology 101), Stanislav Vadrna, Gary (Gaz) Regan, Erick Castro (for Plymouth Gin) and Dan Dunn (The Imbiber) had their hands full picking their favorites out of a pool of talented bartenders. Stanislav and Gaz were in town for Bar Smarts’ Pioneers in Mixology. Peat and Smoke did a great job live blogging it here. Guests were also treated to Plymouth cocktails and the fabulous food from Eveleigh. 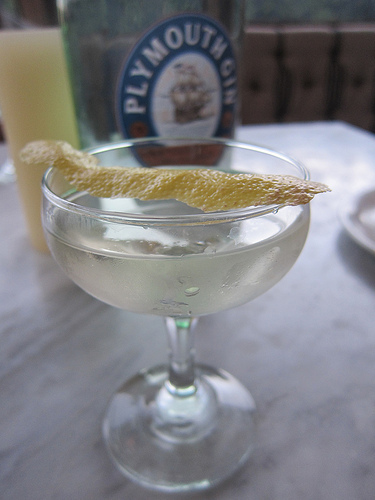 I tried the Marguerite (Plymouth gin, Dolin dry vermouth, orange bitters) Eveleigh’s bar manager Dave stirred up for me. I didn’t get to try the Southside Fizz but I heard it was refreshing. 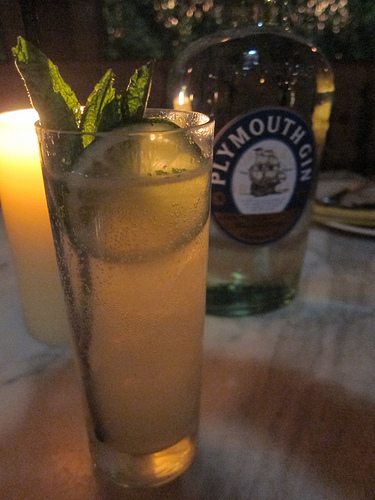 Southside Fizz features Plymoth gin, lime, mint, simple syrup, soda. 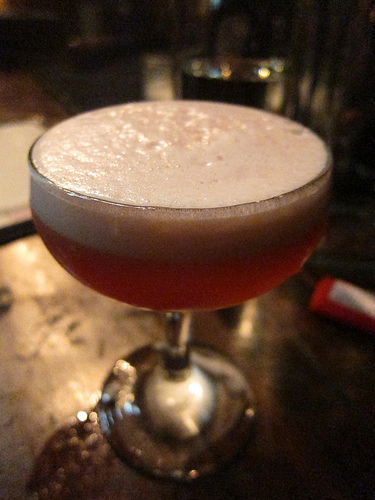 I did try the Clover Club (Plymouth gin, lemon, raspberries, egg whites) which was quite lovely and I treated it as dessert. Not that it was sweet but I have decided if I must have sugar, I rather have it in the form of booze! Regional competitions have now been concluded for LA, SF, NY and Chicago. I’m looking to attending the finals at Manhattan Cocktail Classic! This entry was posted in alcohol education, bartenders, cocktail competition, contest, events, hot bartenders, the minty, travel and tagged chicago, erick castro, eveleigh, gin, los angeles, new york, oscar takahashi, plymouth gin, portland, san diego, san francisco, west hollywood. Bookmark the permalink.